Is there anything tougher to crack than cosmology? For me the answer is no. Throughout its history, Dungeons and Dragons has handled various planes of existence in all sorts of ways. There is The Great Wheel, Spelljammer, the oft-malign and easily understood Fourth Edition cosmology, World Axis (I got your back, James Wyatt), and so on. What’s a designer to do when in creating one world he realizes now he needs to create a whole multiverse to go with that world? How I felt when I discovered I had to create worlds beyond Canus to make Exploration Age feel complete. My biggest problem with multiverses is that they always seemed overly complicated. I know I’m going to get some flack for saying that, but that’s my personal opinion. Don’t get me wrong, as a DM I love delving into the more complicated minutia between various planes. There are connections and pathways and Demiplanes, Outer Planes, Inner Planes, coterminous planes, coexistent planes, and on and on. Yet for players these complications are dull and slow down gameplay. For the most part they don’t care which plane borders which and how the map of multiverse is drawn. The thing I love most about the planes are the little details which affect gameplay for the players – the silvery chord tethering a creature back to its body on the Material Plane when traveling through the Astral Plane, or the ability to travel more quickly in the Plane of Shadow are good examples. These concepts are more easily understood by players because they have tangible and immediate effects. They remember the Elemental Plane of Air because they have personal directional gravity in a huge, open, infinite expanse of sky, not because it’s one of the inner planes. These are the details which make planar travel in an RPG interesting. To be honest I enjoy the variety of planes within The Great Wheel. I want that level of variety in the multiverse of Exploration Age. 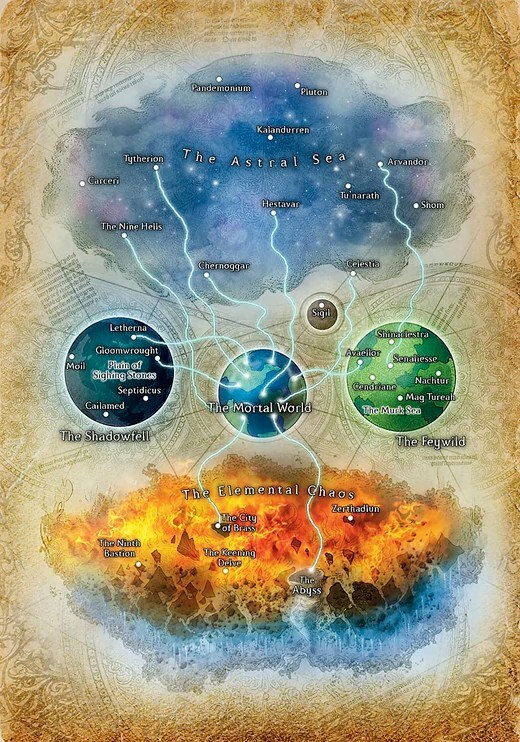 However I want the simplicity of a Fourth Edition World Axis layout for my players who don’t care that the Elemental Planes are Inner Planes and Celestia is an Outer Plane and all the details which go along with those distinctions. If your planar map looks like this something has gone wrong. Sweet, sweet, easy to understand World Axis cosmology. So first things, first. 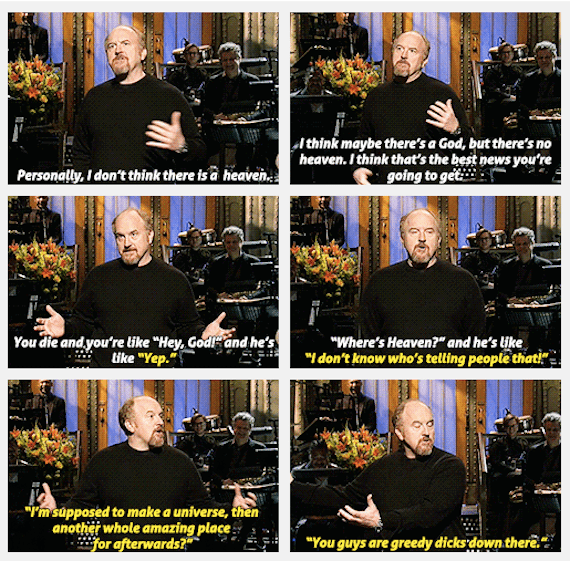 Let me be clear here – if you choose to run an Exploration Age campaign you can use any cosmology you want. If you don’t like what I’ve laid out here, that’s totally, 100% fine. Bring The Great Wheel, Fourth Edition’s World Axis cosmology, or any system you want into Exploration Age and play with that. That’s what tabletop RPGs are all about and 95% of Exploration Age’s content deals with the Material Plane anyway. 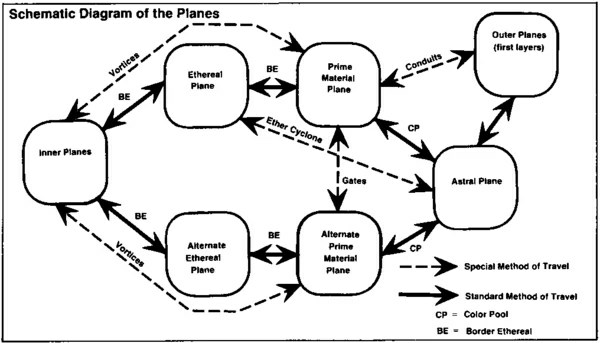 That being said, here’s what I’d like to present as the default cosmology for Exploration Age is this – certain planes, such as the Ethereal Plane and Plane of Shadow are Coterminous. They overlap completely and in all areas with the Material Plane, like they always have been. This allows for use of spells like shadow walk and blink to be used and to get some of D&D’s most classic planes into the Exploration Age multiverse. Many other planes, not just The Material Plane, have an Ethereal Plane and Plane of Shadow which are coterminous. Then there are the Reflections – worlds of the same size and with similar natural landforms as the Material Plane. This includes Fourth Edition’s Shadowfell and Feywild and allows for the freaky fun looks-like-our-world-but-totally-isn’t-our-world effect that one gets while adventuring in a plane which reflects our own world. Other planes are not Conterminous nor Reflections, but they do overlap with The Material Plane in certain places. These areas of overlap are where one might find a standing portal on Canus to a particular plane. One must be careful when using these gateways for sometimes they only work one way. So an adventurer might be able to leave Canus through a portal, but not return, or a monster could wander through a portal in an Overlap Zone and be stuck on the Material Plane. This overlap also creates Overlap Zones – small areas where the barrier between worlds is thin creating strange environmental effects. It is even possible, in rare places, to have overlap between Overlap Zones. These planes do not just overlap with Canus’ Material Plane. They can overlap with one another (so it is possible to be travel through the Elemental Plane of Fire and encounter an Overlap Zone with The Abyss). Of course it is possible to travel from one plane to another without being in an Overlap Zone. Spells, rituals, magic objects, and more can take a person from one plane to the next. Overlap zones just make extra-planar travel much easier. The Astral Plane, which is technically the space between the other planes and the Far Realm are exceptional planes and do not fall into any of the above categories. In Exploration Age when people die, their souls eventually pass onto the unknown, beyond the multiverse and if there are any gods, they too are beyond the multiverse. This changes things a bit for a few of the classic D&D planes, since the gods and the dead will be spending their time elsewhere. Let me know what you think about the proposed layout above. For the most part Exploration Age’s planes will be familiar. I’ve already made an entire world with tons of adventure hooks and I didn’t feel the need to remake the wheel when it came to the multiverse (pun intended). I couldn’t resist adding a few planes of my own design. Take a look at the two below and let me know what you think! There is a strange Reflection plane where what are considered monsters in Canus rule the land, while what would be considered civilized humanoids live in caves, swamps, and dank, dark ruins. This strange world is ruled by well-dressed ogres, gnolls, and more, who try to keep the humans, elves, and other savage species at bay. Humanoids from the Material Plane who travel to this world are as misunderstood as they are confused. An infinite region of mountains, forests, tunnels, and swamp makeup Murderfall, the land where everyone wants to kill everyone else. When outsiders enter the plane, they must make a DC 15 Wisdom saving throw or attack any living creature they can sense until it dies. They make a new saving throw after 24 hours to try and end the effect. If they leave Murderfall the effect ends. Creatures native to Murderfall are immune to this effect, but they are all vicious, territorial loners, so it may seem they are under this effect anyway. Essentially everything in this plane is stalking or being stalked. Overlap Zone All critical hits deal twice the maximum amount of damage.